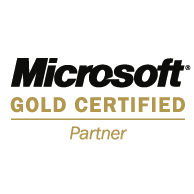 A Microsoft Gold-Certified partner is a company that has agreed to collaborate and establish a close working relationship with Microsoft. Having that title means the company who applied itself has earned the highest standards of Microsoft's widely-recognized partnership program. Such a status means Microsoft has declared that the company has committed itself to evolving Microsoft technologies for the interests of its own needs as well as those of its clients. There are also advantages in becoming a Microsoft Gold-Certified partner that other companies do not have - that is until they too decide to partner with the software giant. These advantages include permission to provide Microsoft-based IT services and products to other businesses or clients, among other things. The company's overall competence and background will determine what type of Microsoft partner it turns out to be - gold or silver. As either a gold or silver partner, one will be able to use and enjoy the benefits Microsoft grants to meet business objectives. One who turns into a Microsoft Gold-Certified partner is said to have a high level of competence and expertise with Microsoft technologies as well as have best-in-class capabilities for deploying a particular Microsoft business solution.